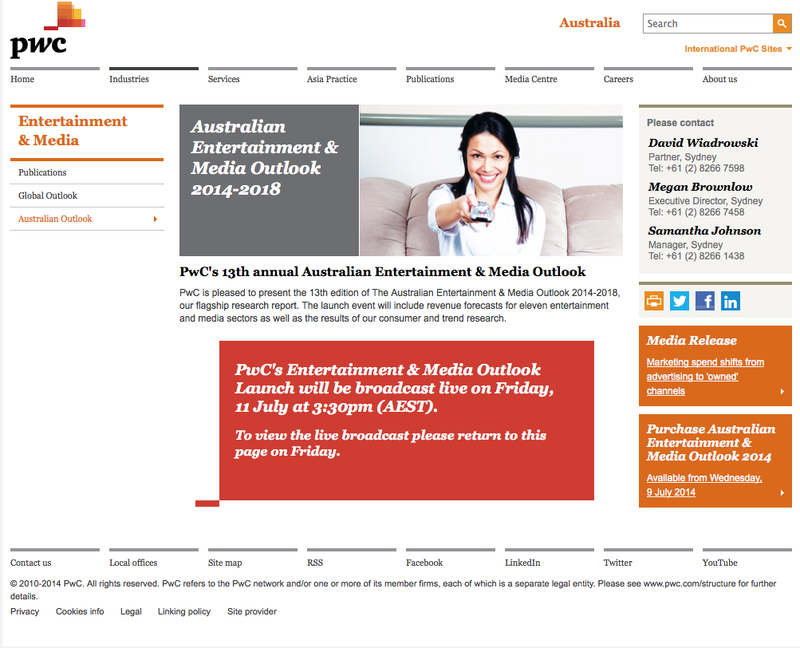 PwC is pleased to present the 13th edition of The Australian Entertainment & Media Outlook 2014-2018, our flagship research report. The launch event will include revenue forecasts for eleven entertainment and media sectors as well as the results of our consumer and trend research. This entry was posted in Research and tagged AFTRS, Australian Entertainment & Media Outlook, Megan Brownlow, MSAB, Nick Bolton, PwC, The Art of Perseverance in Australian feature film making on July 11, 2014 by n1ch0la5b0lt0n.